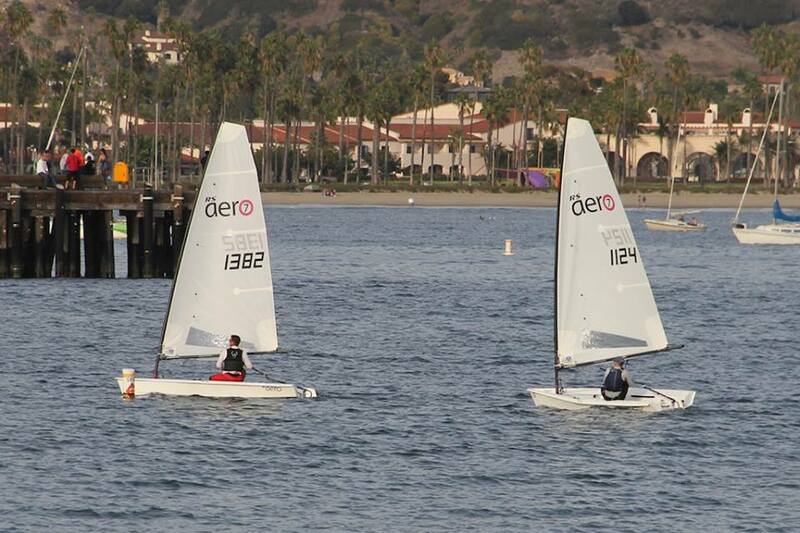 Great to see five RS Aeros out at Santa Barbara's Goblin Regatta over the weekend. Thanks to Ian Ponting who visited from Maui for the report. 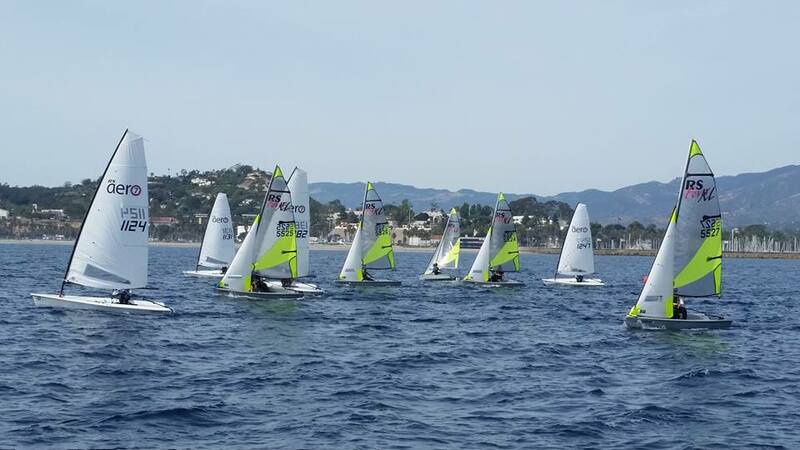 The Santa Barbara Sailing Center hosted its annual Goblin One Design Regatta October 24-25 2015. 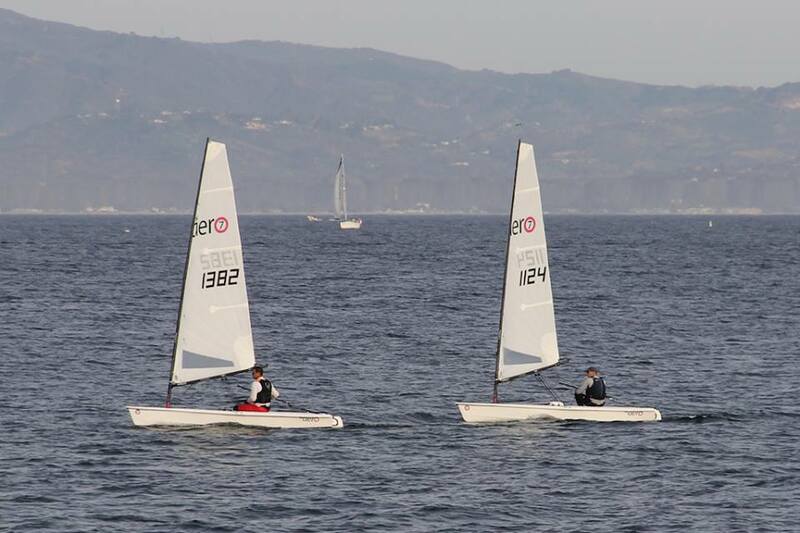 This year RS Sailing was well represented with two fleets, Aero and Feva XL. The Aero Fleet was five deep and highly competitive. As well it saw a bit of a rematch with a few of the sailors who competed the RS Aero North Americans in July. Day one saw a building breeze throughout the day with races 3, 4 and 5 in solid conditions with winds gusting into the 20’s. Right off the bat Jim Muir proved that time in the boat is key, posting three straight bullets he was looking pretty unbeatable. Yannik Gloster was also strong battling at the front of the fleet and was the only sailor to beat Jim to the finish line. Ian Ponting from Maui rounded out the top three and was slowly improving as the day more on and got windier. Local sailors Vern Vincent and Sophie Thompson rounded out the fleet and kept the front runners on their toes. In the Feva Class the Hawaii Kai Boat Club team of JP and Pearl Lattanzi surprised local hotshots Chris and Ian swapping 1 and 2 all day. Kai Ponting of The Lahaina Yacht Clup and Milan Salles of HKBC filled in the 3 spot. In looking back at the photos all the fleet were in the mix with tight racing across the board. Day two was a frustrating day of zephyr chasing. The RC did a great job of keeping the hope alive and did eventually get all the fleets started. Unfortunately racing was abandoned with only the J70s and J24s getting any completed racing in. The RS boats were definitely the most talked about both on the ramp and on the course. 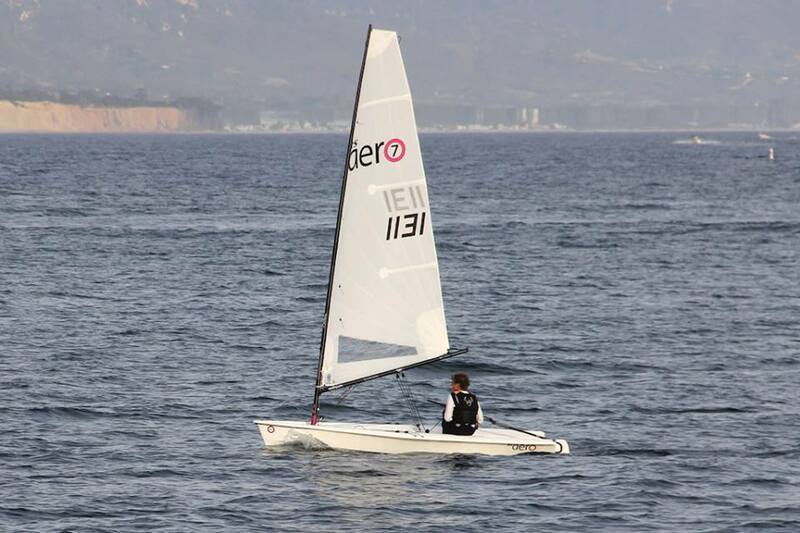 The Laser fleet was taking notice as the Aero looked strong and fast on the water. There was lots of demos going on in between races with the laser guys hopping in and out of boats. There were questions coming from the big boats as well. The Goblin regatta is definitely on the permanent roster for the RS Aero and RS Feva. Its a truly well run regatta and a great venue.